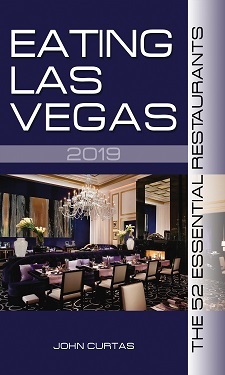 This month, yours truly, along with Emmy Award-winning Denise Valdez, will be featuring a different Aria restaurant every week on Channel 8’s D & D segment on the KLAS TV Morning News. These foodie-focused features are hereby framed for your fantastical fun, because we at ELV realize that many of you aren’t up at 6:20 am on Thursday mornings to catch their initial broadcast. And because we think there are only two things a person should be doing at 6:00 o’clock in the morning: sleeping, or coming home about to go to sleep.